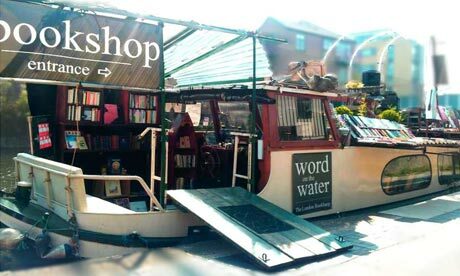 This little bookshop on a boat is both cute and captivating! 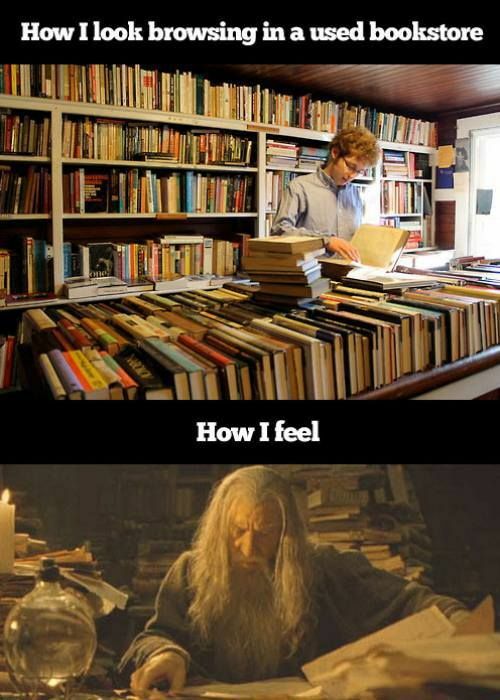 Inside you'll find shelves of books, old and new! On a summer's day, there's nothing better than to hang out by the dock, chatting with other book lovers in the laid back atmosphere! A must for anyone stopping by in London on their travels! Altair prides itself on being Europe's largest library specialising in travel! It sees itself as a cultural space; a place for people from all backgrounds to meet, discuss ideas, creating projects, connecting travelers from all over the globe! From international culinary books, historically rich texts to regular travel guides, Altair has it all! An endless supply of cosy book shops certainly contribute to Edinburgh's charm and Armchair Books is no exception! Inside you'll find what seems to be more of a garage with a ton of books, rather than a well organised (and well lite) bookshop. It this quality Armchair Books has that add to its homely charm. 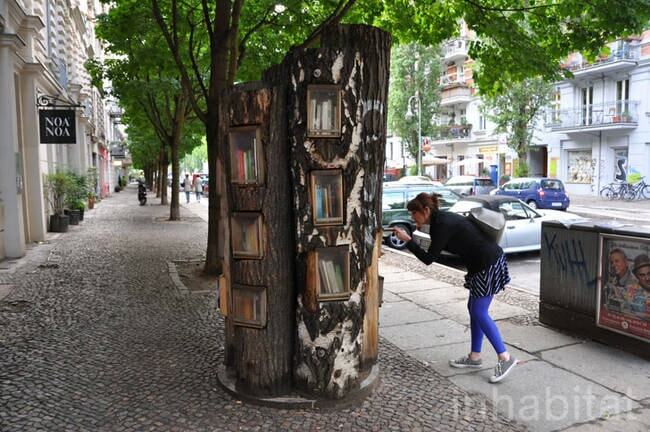 Trust Berlin to come up with a bookstore as efficient as it is quirky. It's not even a store! It's a simple book exchange, which means it's free! First-timers in Berlin should know that it's one of the more expensive cities to travel in Europe. But if you're stuck for a book to read, check out this place for some inspiration! 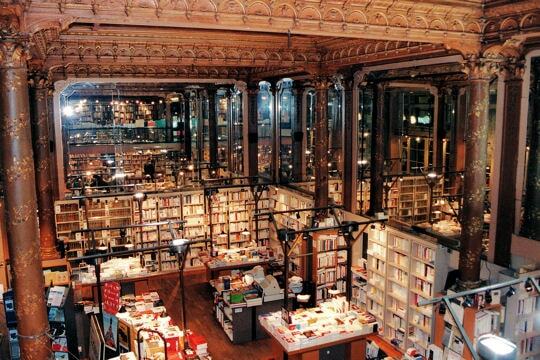 This exquisite book shops is just one of many in Brussels, but this is my personal favourite. 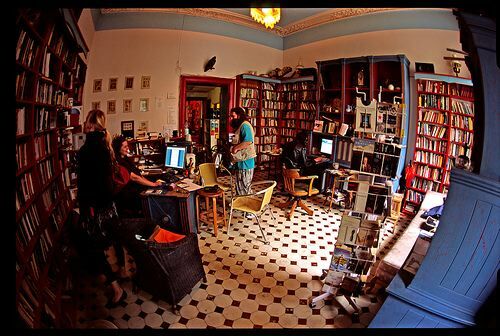 The high ceiling, the mahogany interior and the variety of books on offer make Tropismes one of the most beautiful bookshops in Brussels. The cute little bookshop resides in the hyper-photogenic town of Lyon. 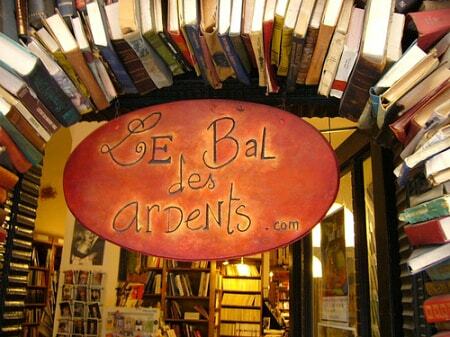 This photogenic bookshop will leave you will 50+ posts on your Instagram and french literary greats like Victor Hugo or Voltaire! All the more to entertain your brain on those long train journeys... or to help you fall asleep. 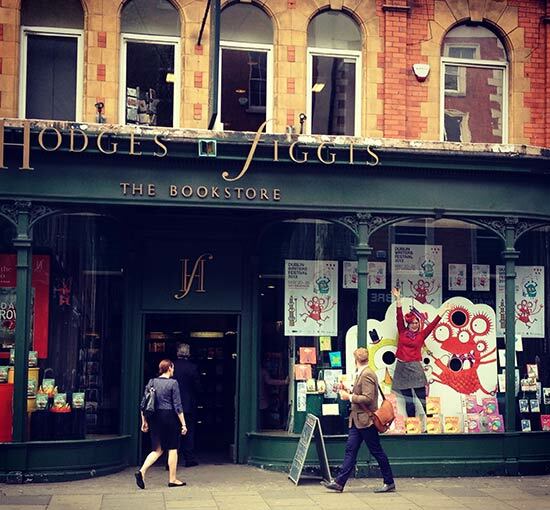 Famous for its window displays, Hodges & Figgis (locally pronounced as Hodgis & Figgus) has books of all genres. From Shakespeare to astrology, greek mythology to gardening, it's all under the one roof! It's definitely worth a gander if you're in town! This little old fashioned bookshop in the centre of Berlin would find a place in any bookworms heart. 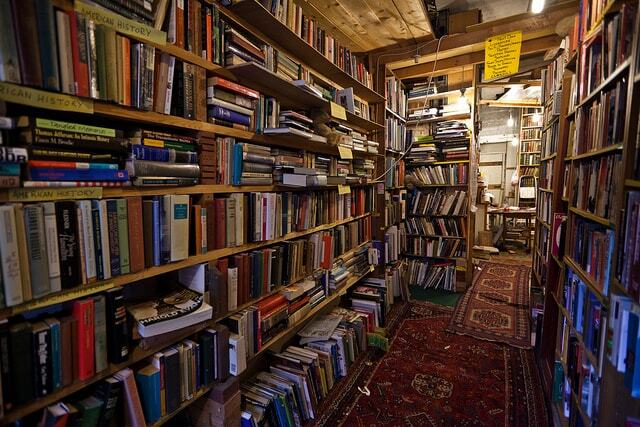 Although it doesn't have many English books, it's cosy interior and characters are worth stopping by in. Plus the coffee here is fantastic! I love the story behind this bookshop! 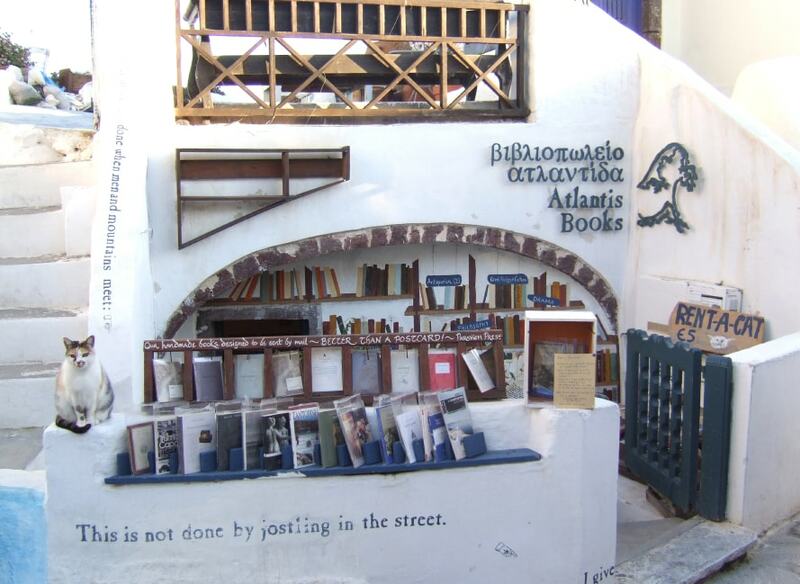 Two lads in 2002 on vacation in Santorini noticed there wasn't a bookshop on the island and so decided there should be one. 4 years later, after graduating they decided to f*ck it and just do: "We found an empty building facing the sunset, drank some whiskey and signed a lease. We found a dog and cat, opened a bank account, applied for a business license, found some friends, built the shelves, landed a boat on the terrace and filled the place with books. Jenny came in April and painted everything blue.". So pick up a book and watch the sunset. 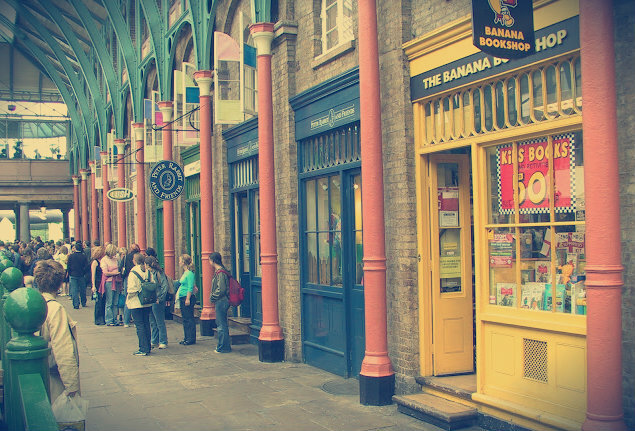 Located in Covent Garden mall, this colourful gem holds a serious amount of books. It's quirky interior has more of a Camden feel than that of posh Covent. It's warm, it usually has great offers and above all... it's yellow! A bookworms Havana. 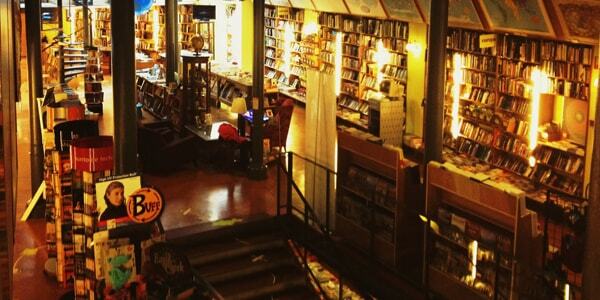 Shakespeare & Company is without a doubt the most beautiful bookshop in the world. But it's got brains too! 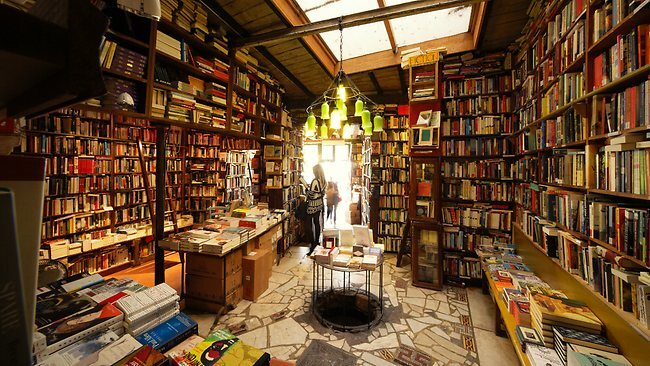 Hosting books from every genre in this tiny shop, you'll find books in every language. Better yet, it looks over the Seine and Notre Dame. So pick up a new book, grab a coffee and just be, wonderful. There you have it ladies & gentlemen! I hope you make it to all Europe's best book shops!